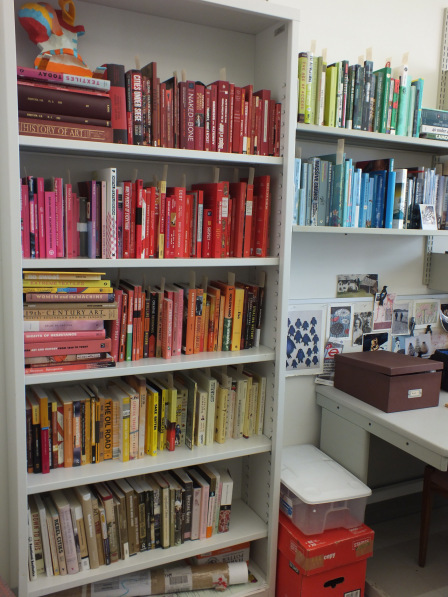 In September 2014 I opened the Bookcase micro-museum and lending library in my office. Inspired by my sabbatical, and the various odd collections and mini-museums that I saw while traveling across North America, I decided to open my office to the public for 8 months. What resulted was a pop-up cabinet of curiosities and a library, organized by colour so as to encourage browsing. As I begin a massive project of finding, cataloguing and writing about some of the bizarre, inspirational and quixotic museums across the world, it seemed only fitting that I start one of my own. See the website for the project here.